Nature has always been man’s best pharmacy. Whether it has been to subdue the symptoms of the everyday cold or for more serious conditions, cultures for many centuries have looked to the jungle and the forest to find cures and remedies for life’s health challenges. As technology and science have progressed the western world has spent much of its resources looking for other ways of solving these problems through more synthetic means. Although this has provided us with the option to reach more people with possible solutions, it has also become increasingly out of reach for many people as the costs of healthcare continue to rise in the developed world. In the last couple of decades, many people in the west have begun to return to our more natural roots and rediscover the plants and methods in which our past relatives sought out to deal with the most common health issues. Hibiscus is one of these plants. In this article, I will show what hibiscus is and some of the ways it can be of benefit to improving your health. Hibiscus is a family of flowering plants that are native to tropical and sub-tropical climates such as South America and the Carribean. 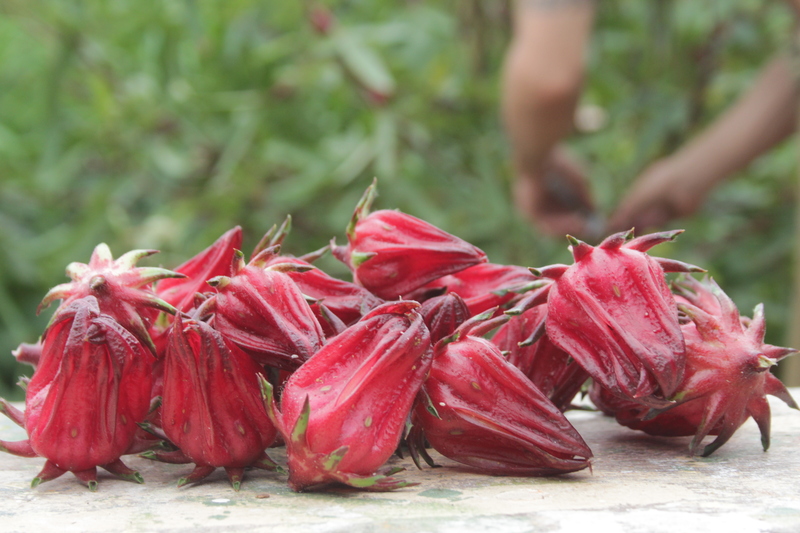 Although there are hundreds of species of the Hibiscus Flower, one the most common ones for consumption is the Roselle flower. The leaves and the blossoms have been used for centuries for various different natural remedies as well as just simple culinary enjoyment. There are many healing benefits that come from the use of hibiscus. Here are a few of the most important ones that may encourage you to add hibiscus to your regular diet. Hibiscus used in proper amounts has been shown to lower cholesterol levels in adults over an extended period of time. Studies have concluded that Hibiscus leaves can lower LDL cholesterol levels if 1,000 milligrams are taken 3 times a day. This amount can be consumed through the fresh leaves and bulbs as a tea or through a product prepared from the extract of fresh elements of the plant. hypertensive properties which make hibiscus a viable, safe, and natural solution for lowering your blood pressure. If you have high blood pressure it is advised to drink 3 cups of hibiscus tea per day. Hibiscus contains high levels of vitamin C along with anti-bacterial properties. These elements combine to provide a strong foundation and boost to your immune in order to protect you from catching the flu or a cold. If you already have the flu, hibiscus can help fight your symptoms and provide you with needed relief acting as a natural source of hydration while your body fights off the virus. Lastly, Hibiscus contains diuretic properties that support increased urination. This property also supports regular bowel movements and relief from constipation.Consumed regularly, hibiscus is known to keep the digestive tract functioning properly. These are just a few of the many healing aspects of Hibiscus. If you would like to experience Hibiscus for yourself, Healthy Additions has an assortment of Hibiscus teas and capsules for you to choose from.